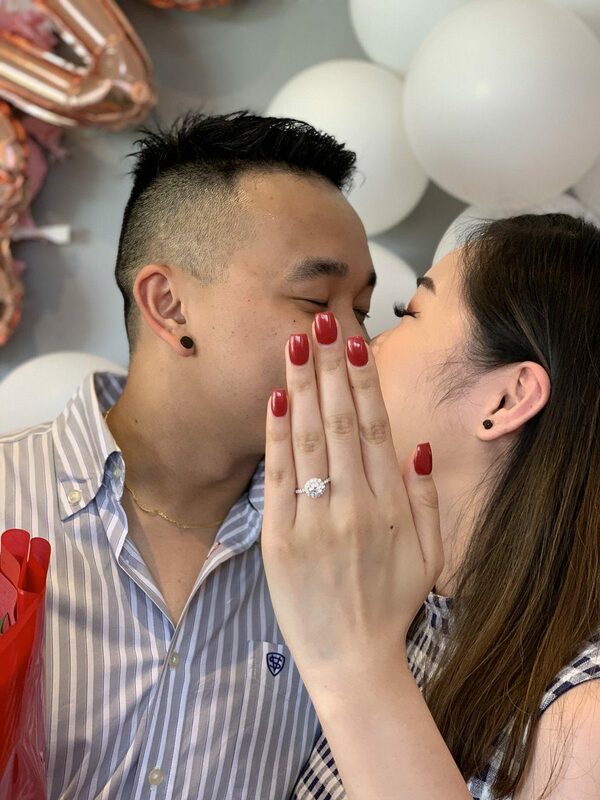 In the age of social media, a lot goes into shooting and posting the ultimate “I Said Yes!” engagement ring selfie, as evidenced by a new viral photo lighting up the internet. With proposal season rapidly approaching, there’s pressure facing both sides of the spectrum. First, the person proposing has to map out a plan to find the ideal moment to pop the question (in addition to sourcing the ring). This, however, is followed by the lesser-yet-still-important role of the recipient, who will typically maintain perfectly-primped nails for the heartwarming special moment. One newly-engaged woman from Melbourne, Australia, however, wasn’t prepared for any of it. While Diana Le happily accepted a surprise proposal from her boyfriend this weekend, she soon realized that her paws weren’t polished at all. Accompanying the caption was a set of two distinct photos—one close-up shot of the couple kissing with a perfectly-manicured hand and sparkling ring in the forefront. The second revealing the actual behind-the-scenes snapshot of the making of the image. 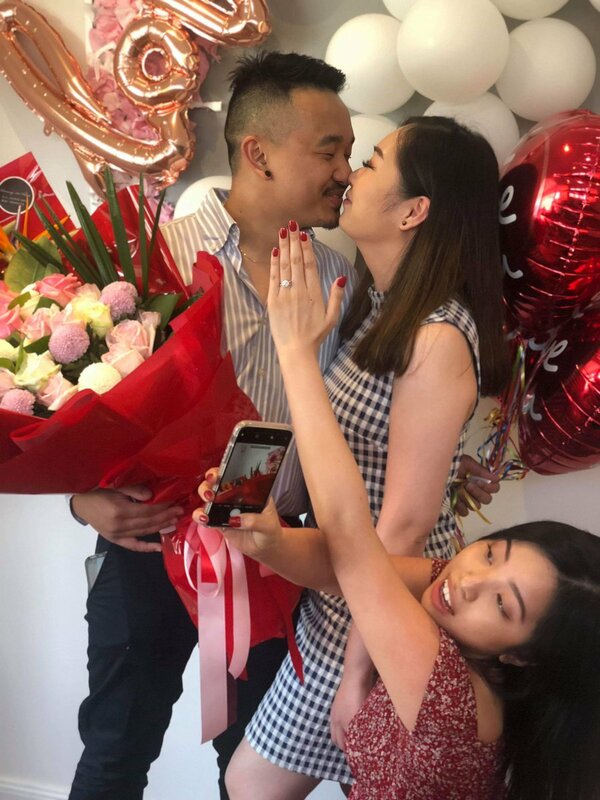 In it, Nguyen hilariously multitasks by holding up her own beautifully-manicured left hand in the frame while her other hand snaps a photo of the newly-engaged couple. The post has since attracted well over 230,000 retweets and nearly a million likes on Twitter. Nguyen’s hilarious post has gone so viral, in fact, that she further explained the backstory behind why Le’s nails weren’t polished from the start. 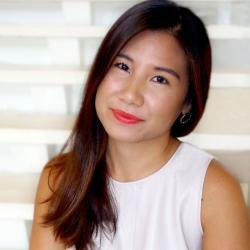 Both Le and Nguyen appeared on an Australian talk show to address the viral post this week. This isn’t the first time a close friend has stepped in to help spruce up an image for a wedding-related cause. Be the first to comment on "This Woman’s Ring Selfie Has Gone Viral for a Completely Relatable Reason"